We at Southwest Airsports provide valuable and custom information to student pilots concerning what equipment is best for them. They can only get this information at a school like ours. The Internet can be helpful but no one coming to us for training has the experience and skill necessary to make the best decisions concerning such things as gliders, helmets, and harnesses. Mistakes here can result in accidents and injuries including death or, at the least, be a waste of money. Nor is it particularly ethical to ask us for information on what is the best wing, for example, and then go buy it elsewhere. Registered flight schools in the U.S. will not sell gliders except to their own students. We sell everything a pilot needs to fly a paraglider safely. You should invest in top quality equipment not just because it works better and lasts longer but because it is increases your margin of safety. A complete PPG setup costs $7,500-$12,000 (2014) depending on the paramotor type, foot-launched or trike/quad, and how many accessories desired. WARNING: Do not purchase paragliding equipment before you begin training as you will likely make an expensive and, possibly, a dangerous mistake. We cannot enroll students in PPG1 or PPG2 training who already have their gear unless it was purchased through a USPPA school. That is, we can continue training pilots from other schools who already own their gear. Gliders are rated for their ability to recover from collapses while flying. Gliders that have an EN "A" rating generally have a greater ability to recover spontaneously. Gliders with higher EN letter ratings require more pilot input in less time in order to recover. PPG pilots who never expect to fly without a paramotor can enjoy the increased passive safety and high performance of a reflex glider. The downside is that it has a EN B rating or higher, a lesser glide ratio and does not do well in thermals. Naturally, the last two factors mean little or nothing to PPG pilots. Why do pilots choose wings that require more input to fix problems? 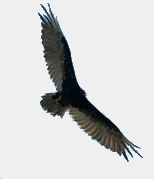 It is because these wings have generally higher performance with significant added risk, such as a reflex wing. Depending on the size, type, and safety, a typical PPG glider will cost $3,300 or more. Cheaper gliders are available that are relatively safe but are more difficult to launch and fly. It is a lot like automobiles – you get what you pay for. We are an Ozone dealer because their gliders (PG and PPG) are among the best engineered in the world. We other brands of comparable quality and safety as the Ozone but we know Ozone the best. You may go to their site for extensive information on the PPG gliders they offer. We highly recommend the Roadster 3 reflex glider (as of 2019). It is an EN B class, stable, fast, and a lot of fun to fly. It is particularly designed for PPG by the master engineers at Ozone. The none-reflex PPG gliders are more stable than the reflex gliders so if a pilot has any doubts about his skills and is not concerned about speed, they are the best choice. Proper training is still the most critical factor for all pilots, especially having the skills to "read" flying conditions. The paramotor below is the Miniplane Top 80. These paramotors are good for pilots whose base weight is less 200 lb. These are the lightest and most agile paramotors available in the world and are very popular, have the most comfortable harness, the most options, and known track record per safety, longevity, and quality. Bigger pilots can purchase the Miniplane Polini or Minari. The Polini Thor 130 engine weighs almost the same as the Minari 180. The latter has a 40% larger engine but is not as quiet as the former. Generally, PPG pilots should purchase the smallest paramotor that will work for them per their weight and the type of wing they fly. Do you want the quietest engine? The best fuel economy? What would you sacrifice? Weight? Reliability? Where and what type of flying is the most appealing? These are the things we help students decide. The pilot in the photo above likes the Miniplane low hang-point models (ABM) because he is primarily a PG (free flying) pilot and, more importantly, we train pilots on the standard PG harnesses which have low hang-points. Low hang-points give pilots more input from the glider than high hang-points which is why PG pilots always prefer low hang-points. After pilots learn to fly a paraglider without a motor on a low hang-point harness, it is much easier for them to transition to a paramotor with low hang-points because the handling and feeling will be similar. The downside of the low hang-point paramotor is that there is more motion of the entire paramotor which, for some, can be objectionable. Experienced pilots prefer more input from the wing as it helps them fly more safely. Go to Miniplane-USA for the description and prices of the Miniplane paramotors. Orders for paramotors are placed with Southwest Airsports. Below is a typical trike with the Fresh Breeze Simonini 122 paramotor called the TrikeBuggy. Most paramotors can be worn on the back for foot-launched PPG or mounted, as here, on a trike or quad. This PPG setup has a reserve parachute mounted. Most PPG pilots do not have reserves as they only fly in calm conditions. The trike is able to travel great speeds when on the ground and is more stable than quads. Trikes are very comfortable to fly and easy to launch and land. The frame is also very tough – a heavy pilot can land hard with these frames and not damage them. Our repeated testing has proven this. The tougher the frame, the less chance of injury. Pilots who cannot run or having any impairment in the feet, legs, or back are good candidates for a trike. 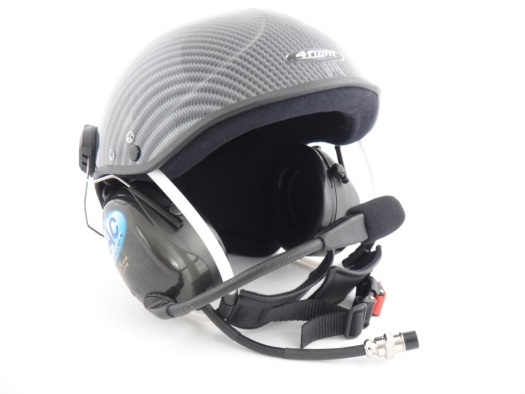 PPG helmets must have communications equipment built in that allows the pilot to easily communicate with others in a high noise environment. The helmet below (an ICARO 2000 Skyrider) costs around $385. The radio is far more than a convenience when flying. It is your connection with other pilots and the ground for weather information, pilots in distress, and other emergencies. It must be inexpensive, simple, reliable, and easy to operate. 2 meter FM handheld radios meet these requirements, especially ones like the YAESU FT-60R. Pilots, however, must have an Amateur Radio License from the FCC to legally use them on the amateur bands. For this reason, I recommend that all pilots get an amateur radio license. It's easier than ever. Most bigger cities have radio clubs and the people who can quickly train you and administer the test. USHPA has a permit to use 2 meter FM radios on the business bands. Most quality radios must be modified for use on these frequencies. Such modifications can be done by Southwest Airsports (we have the electronic gear to do this). However, if you use only the USHPA radio frequencies, you do not need a license because the station license is held by USHPA. For the details of these frequencies go to our radio setup page, 2nd paragraph down. All radios must be used with a helmet designed for high noise environments as it is impossible to hear the radio without ear protection and a special noise canceling microphone. Contact us for more information on these radios. We sell the modified versions. How fast am I moving over the ground? What is the wind direction on the ground? How high am I? Where did I go today? What does my track look like on Google Earth? All of these questions can be answered easily with a GPS. While it is optional for PPG, we highly recommend its use. With a GPS we can tell whether we are starting to slow down and in what direction we are going. If we ever get in trouble with the Authorities per "you were flying over X" but you were not, the GPS log can prove your innocence (but only if our GPS can log your tracks and you have set it up properly). For additional cost, you can purchase a variometer that has a GPS built in. 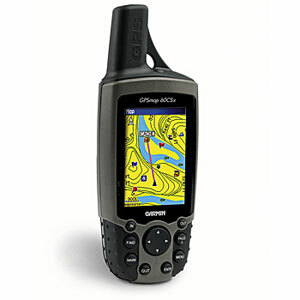 The most common, rugged, and easy to use GPS is the GARMIN top-of-the-line models for hiking, like the Garmin 64st series. Older models in this series are also excellent and can be had for a good price on the used market. Cost: $150 - $400. If you want to thermal in your paramotor, you must have one of these, preferably one that also has a recorder. The variometer (or "vario") measures your vertical speed through the air instantaneously. It gives an easy visual indication as well as a varying tone, if the pilots wants. It can even give an audio tone indicating when the pilot is in sink. The vario also can tell you your relative altitude, your actual altitude, air temperature, and (optional) airspeed. A GPS can give vertical speed but there is too much of a delay in the display of the information to be useful for thermalling. A recording variometer records all of the above for your whole flight. You can download it to your computer and analyze your flight carefully. How well did I thermal today? Here is a photo of the Flytec 6010. Cost is around $700. Things like a flight suit, gloves, catheters, or a hook knife can be useful, depending on conditions and where/when you are flying. Most PPG pilots do not carry a reserve. For more information on this go to the paragliding setup site. Carrying the paramotor from place to place is much easier if you have a rack like this one that is sold by Harbor Freight. Some foot launched PPG equipment can fit in two suitcases. Many wheeled PPG setups can easily fit in a pickup truck bed or in the trunk of a small car. A Top 80 foot launched paramotor weighs under 50 lb with fuel. Trikes and quads can weight up 125 lb.